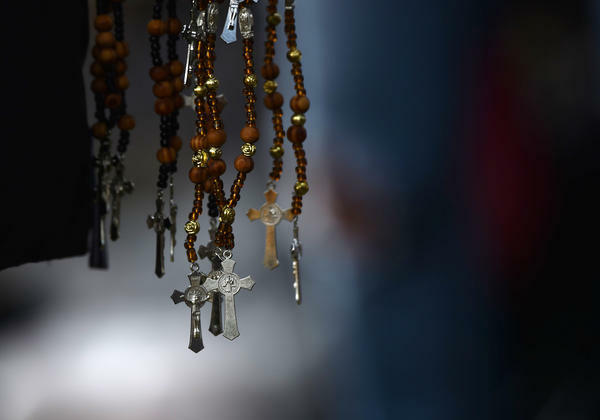 But for many, this comes at a time of deep disquiet in their religious communities as sexual abuse and serious misconduct, including covering up abuse, has been revealed in churches around the world. Just this past week, a French Catholic cardinal was found guilty of covering up sexual abuse in his diocese. So on this first Sunday of Lent, we wanted to get a sense of how Catholics and other Christians might be grappling with these issues right now. To help us do that, we've called Sister Joan Chittister. She's a Benedictine nun from Erie, Penn., and she's the author of some 50 bestselling books. You might have caught her talking about some of them on Oprah's "Super Soul Sunday." And she is also widely known as an advocate for human rights. Sister Joan, welcome. Thank you so much for talking with us. JOAN CHITTISTER: Well, I appreciate your consideration with such depth, Michel. MARTIN: So, Sister, I came across an article you wrote in 2001, and this is what you said about Lent - and I'm quoting you here. You said the purpose of Lent is to confront us with ourselves in a way that's conscious and purposeful that enables us to deal with the rest of life well. So first, I'm going to ask for those who don't know what Lent is exactly, what is Lent exactly? And then just tell us more about how you feel we should approach it. CHITTISTER: It's a 40-day period of spiritual preparation that usually involves both abstinence and reflection. It's supposed to be a time for serious renewal of your own spiritual priorities and life. You know, we all get involved, every one of us, from the Pope to the peasant - your work, your family, your considerations, your local concerns. They consume you. Lent is that season meant to take you away from that, to help you concentrate again on the choices you make and why you're making them. MARTIN: Are there any practices that you have found particularly meaningful to you over the years? I mean, I know that there are some people who kind of - I don't know, maybe look askance at some of the traditional practices. They think it's corny. Like, for example, I've had some people say, like, well, why do you bother, you know, giving up meat? You're just going to eat it again anyway, you know? And so could - you know, if you - could you talk about that? CHITTISTER: The purpose of Lent is not to deny ourselves for the sake of denial. It's not really meant to be a negative approach to life at all. It's meant to release us from the things that are weighing us down, the noise that's pressing in on us. So when you said, what is your favorite practice or what kind of practices you do, remember that I am a monastic. I come from a monastic community where reflection and choral prayer is an important part of every day of our lives. And yet, it isn't what we give up during Lent. There is no special holiness in being meatless or candy-less. What we do is normally add things to our life. We often add more public acts of justice and charity. That's Lent. MARTIN: I think it's fair to say that many Christians - not just Catholics, but certainly including Catholics - are very angry at their churches right now. I mean, it's not only the abuse that many vulnerable people experience. It's also the pattern of covering it up. I don't need to tell you this. I mean, the grand jury report found widespread abuse across the Pennsylvania diocese. But this has been a worldwide sort of pattern. So for people who feel this anger, people who have experienced this abuse or even people who haven't directly experienced it but feel the shame and the weight of this, how would you suggest they approach this period? CHITTISTER: Well, in the first place, you know, anger is a holy fuel. Anger - if you use it right, and you don't let it get out of control in your life, anger is what can drive you to do good in the face of evil. It doesn't bother me that people are angry as long as their anger does not harm other people but works for good in society. Then I consider that anger a grace of God. So that people are dismayed by their institutions, broken-hearted about what they see happening - that's a holy concern. But what we must all also do, starting with me, is we have to separate the concerns of the institution from the spiritual life and the following of Jesus. We have to get back to the center of the faith. The center of the faith is the life of Jesus and understanding ourselves that our role here and now is to live as Jesus lived, to care for what Jesus cared about. So whatever happens, the institutions need reform. They need to rethink their own theological base and their aggrandizement of themselves. This is a very holy time for churches if they'll make it that. They have a lot to confess. They have a lot to develop. They have a lot to repent. Every church should be a guide to the spiritual depth, to the interpretation of the scriptures, to the building of a good community. At the end of the day, the faith is yours and mine - is ours alone. Church can't give us the faith. It can teach us the faith. MARTIN: That is Sister Joan Chittister. Her latest book is called "The Time Is Now: A Call To Uncommon Courage." We caught up with her in Ireland, and she joined us from there via Skype. Sister Joan, thank you so much for talking with us. And I do hope you're having a meaningful Lent. And thank you for your good wishes. CHITTISTER: Thank you, Michel. I hope we meet soon. Transcript provided by NPR, Copyright NPR.